City Administrator Brian Dehner describes Edgewood as "a bedroom community", and many residents would like to ensure it stays that way. 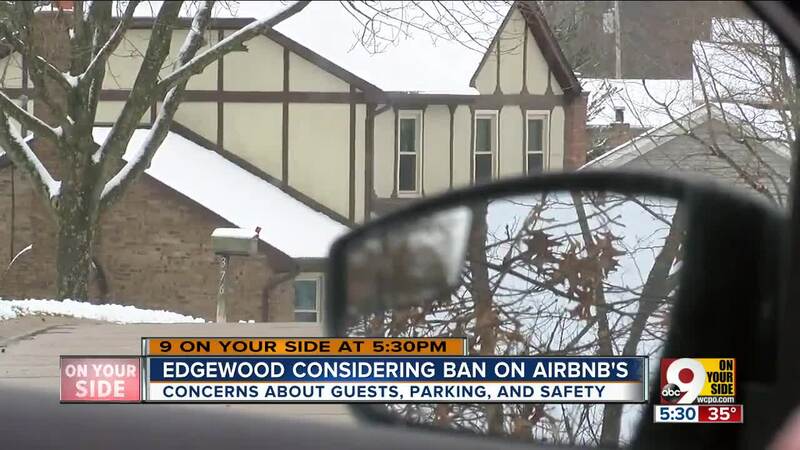 The city already has a long-standing ordinance in place that disallows the development of any hotel or motel in the city of Edgewood - but that was put in place long before Airbnb burst onto the scene. "We don't have an ordinance that addresses it," said Dehner. "It's a new concept and communities are struggling with that concept." His office is responsible for proposing the ordinance that could ultimately ban temporary rental businesses like Airbnb in Edgewood. EDGEWOOD, Ky. — City administrator Brian Dehner describes Edgewood as "a bedroom community", and many residents would like to ensure it stays that way in the age of Airbnb. "I think it is a safety issue," said Joyce Farro, an Edgewood resident for 45 years. "People could be casing your house, and you'd think they're just customers for next door. And we are senior citizens so safety is an issue for us." 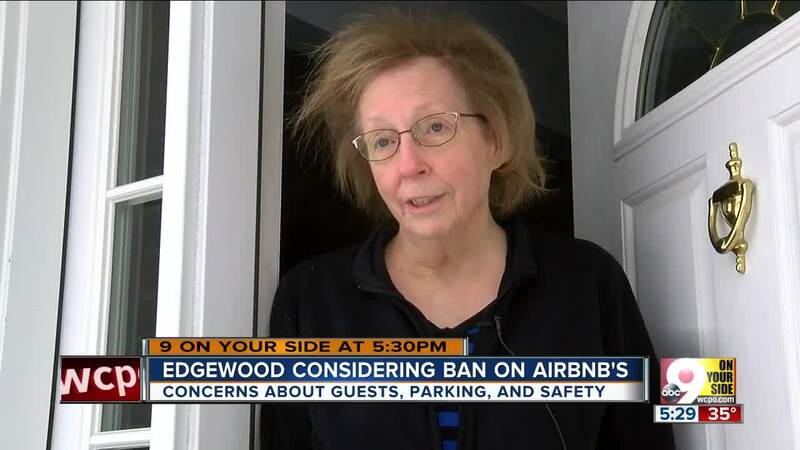 The city already has a long-standing ordinance in place that disallows the development of any hotel or motel in the city of Edgewood — but that was put in place long before Airbnb burst onto the scene. "We don't have an ordinance that addresses it," said Dehner. "It's a new concept and communities are struggling with that concept." His office is responsible for proposing the ordinance that could ultimately ban temporary rental businesses like Airbnb in Edgewood. Calls regularly flood into Dehner's office, with residents calling both to voice their discontent, or to ask if they can turn their own home into a short-term rental opportunity. For residents who don't want the Airbnb economy to take root, it's about the nusiances that come along with more people entering the city. "The increased amount of garbage that's being set out to the streets, and then vehicles and people coming at all hours of the day," said Dehner. "They just have different schedules we're not used to." More cars traveling to the area has meant more traffic, more noise, and less parking within the city. However, there are advocates willing to live with these drawbacks, if it means bringing more business and attention to the area. "Bringing outsiders in brings different perspectives about the fun you can have here, and the things going on in the town," said Jennie Holsing, a resident of Edgewood for three years. "I think it's wonderful and a great idea." No one is quite sure how the council vote on the proposed ordinance will swing, but Dehner hopes it's passed. In a city with a population of 9,000 people — just about the size of Northside itself — population shifts from temporary rentals can be felt a lot more significantly within communities. Dehner and other city officials are working on getting the ordinancce in front of city council so that they can first amend it, before deciding on whether or not to pass it through. If it happens to pass, homeowners who do provide short term rentals could face consequences. The city administrator said it could be anywhere from $100 to $500 in fines per occurrance.